At E3 2016, it came as little shock that Microsoft would be introducing, for the first time ever, a cross-buy program between Xbox One and Windows 10 PCs. After a year of showing strong support for the Universal Windows Platform, Microsoft's software consolidation push, it was high time for the company to start thinking about gaming on PCs. With Xbox Play Anywhere, Microsoft is giving PC gaming another shot for the first time since the ill-fated Games for Windows Live. Instead of simply publishing PC games, this new initiative lets you buy a game once and own it on both the Xbox One and PC plus transferring saves, achievements and DLC content between both. Though some gamers see it as the death of Xbox One exclusives, it seems like an obvious win for others. Knowing it couldn't remain complacent in Sony's backseat, Microsoft had to make like Apple and think different. And it did so while taking into account what was at its disposal all along: Windows. Play Anywhere, in Microsoft's director of program management for Xbox Mike Ybarra own words, "is designed to give players the ability to play on Windows 10 PCs or on consoles – for convenience, bigger multiplayer pools and more." More earnestly, this means that if you buy a game digitally on your Xbox, you'll automatically gain access to the same title on your PC, tablet or 2-in-1 – whatever's sporting Windows 10. For developers it's a little more complicated than that, but surprisingly not by much. 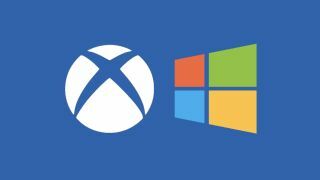 From Microsoft's viewpoint, game creators have little to worry about in regards to its cross-buy initiative. Obviously, games published by the company's own studios will participate in the program by default, but for third-parties, cooperation is entirely optional. "Xbox Play Anywhere is an opt-in program for developers, meaning there are no requirements of any sort and the decision is up to them," Ybarra told us. "There's minimal added work for developers to make their title an Xbox Play Anywhere title." Interestingly enough, Compulsion Games' (Contrast, We Happy Few) chief operating Sam Abbott had a similar stance on the matter but added one major detail that contradicts Microsoft's messaging. When asked if Play Anywhere is opt-in, Abbott said, "Yeah, I think it is. For us, we kind of take the Valve approach, the idea that games should be playable anywhere. We love to make them available, and UWP is not super difficult to make it happen." "Xbox Play Anywhere functionality will be enabled once the game is released on both Xbox One and in the Windows 10 Store." That leads us to one of our biggest qualms with the service. Even with the imminent launch of Microsoft's major Anniversary Update to Windows 10, there's still no sign of early access support. So, for those of us who purchase We Happy Few now on Xbox One as part of the Preview Program, it's unclear whether it'll pop up in our Windows 10 libraries upon the game's hard launch. "We spoke to Microsoft about early access on the Windows Store, UWP basically," Abbott told us. "And they said, 'Well, we don't really want to support that right now.'" For that reason, Windows 10 is more of an afterthought for Compulsion rather than a feature at launch, with Sam likening it to platforms with little market reach in gaming. "What it means is that UWP is going to be something that we look at a little bit later on," he said, "probably around the same time we look at Mac and Linux." Microsoft, on the other hand, seems to have acknowledged the lack of early access on the Windows Store as a widespread complaint, though in traditional corporate format, they "have nothing new to share around early access programs on the Windows Store at this time." What's interesting is that Sam, COO of Compulsion Games, doesn't know whether We Happy Few will cost money once it releases on the Windows 10 Store for those buying it now on Xbox One. If I bought the game today for my Xbox as part of the Xbox One Preview Program, would I be able to boot it up on my PC later this year when it inevitably reaches the Windows 10 Store? We don't know yet, but then again, neither do its creators. Although porting games over to Windows 10 doesn't necessitate more than a few lines of code, converting it from the age-old Win32 standard to a more closed-off, tile-like Windows 10 app, Microsoft's communication with developers has been unclear. Perhaps one of the most shocking happenings at E3 this year was when Microsoft decided to reveal two different consoles less than 90 minutes apart from each other. The Xbox One S, set to rollout this August, promises a form factor that's 40% smaller than the current Xbox One, 4K HDR video output and, perhaps less commonly known, a Bluetooth controller with native support for Windows 10 PCs. Project Scorpio, on the other hand, is being boasted as "the most powerful console ever built," complete with native 4K and VR gaming capabilities made possible by a whopping six teraflops of graphical performance. If Xbox One S is the elegant Lunar White controller, Project Scorpio is an exorbitant Elite. Unfortunately, while more power is more than welcome in a world where consoles are rapidly falling behind high-end PCs in terms of graphics, the addition of Xbox One S and Project Scorpio to the Universal Windows Platform only complicates things for developers. For We Happy Few in particular, Sam Abbott isn't too keen on adding a whole lot of glitz to the upcoming pair of consoles. When asked about Xbox One S, he wasn't sure if optimizing for the shiny white slim was even possible. For Project Scorpio, on the other hand, you can expect little more than a higher resolution. "I think what we're probably going to end up doing is still design for the baseline model, and with reasonably high-res assets," he surmised. "So our pictures would all be at least 4K and that sort of thing." "Once we have it optimized and running really well on the base model," he said. "We then spend some time bumping all of the various things that we can." For the more powerful variants of the Xbox One, Abbot explained they could tweak the lighting significantly and change the post processing effects, but ultimately the biggest change users could expect is an upscaled version of the game's default resolution. Microsoft, on the other hand, offers a separate, but equally valid point. Developers have been making games for hardware with a wide range of disparate specs for years now on PC. The only difference is that now they'll have to do the same thing for consoles. "Today, developers already often author their content at 4K resolutions or higher to take advantage of high-performance PCs or consoles and then they scale the content down for mid-range or lower PCs and devices," Ybarra told us. Nvidia's GeForce GTX 1080 is one of several 4K-capable graphics cards for PC. Although that's not completely accurate, at least according to Sam Abbott, it comes pretty damn close to the truth. Because consoles have been lagging behind in the performance department as of late, it's more probable that developers are "authoring their content" to leverage the mid-range or lower hardware. "You can design for the people that buy the highest end graphics card, but the market is not that big," he explained. "All of the optimizations that we do for the Xbox One make the game run faster on higher end PC cards; they make the game actually run on lower end PC cards, which is really, really good for everybody." The thing is, Microsoft made a promise at E3 that even with the launch of new hardware, no one Xbox One owner will be left in the dust amid all the excitement. Instead, it looks as if games will still be authored for the original Xbox One, opting only for higher resolutions on its successor. The requirement of ensuring that every game runs on every system in accordance with UWP guidelines will not only complicate development but minimize the need to upgrade for gamers who couldn't care less about 4K. This differs from previous console cycles as the need to latch onto old tech was negated by games pushing the graphical limit on newer hardware to . Then again, this is a four-year console cycle we're talking about and not the eight years we spent with the Xbox 360. As it stands currently, Play Anywhere is a well intended effort to bring Xbox and PC gamers together. As part of the Windows 10 Anniversary Update, you can now see what your friends are playing on PC (regardless of whether it's a UWP game or not) and vice versa. Of course, in the end, it's important to recognize that playing triple-A games on a PC is simply out of reach or interest for many gamers. It's unlikely that the vast majority will even want to swap between and Xbox One and PC to play their games, but for whatever reason, if they do, Play Anywhere now makes that possible by way of the Universal Windows Platform. It's important to keep in mind that Microsoft isn't shooting itself in the foot by porting its first-party lineup to PC. The company still takes a 30% cut from Windows 10 app purchases, and it wasn't making much off each console anyway. After all, PC and Xbox target two very different audiences, a fact Microsoft is intently aware of. "Some will want a high-end gaming PC that allows them to optimize the fidelity of their experience, while others will want the curated benefits of the console enjoyed in front of the largest screen in the home," Ybarra explained. "Our goal is to bridge these communities in a way that extends and builds on the best of what they do," he said. This is about uniting players not dividing them by the platform they choose to play on." As a result, Microsoft is effectively paving the way for the Steam Machine Valve never could by making PC gaming more accessible than ever, even if it is through a console.